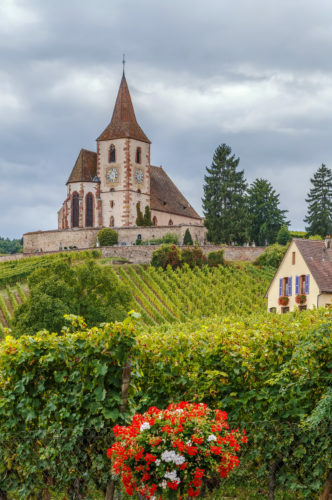 Alsace may be one of the wine world’s most underrated gems. Situated in northeastern France — but facing out over the Rhine River and overlooking Germany’s Black Forest — the region is a delicious stew of multiculti weirdness. Half-timbered homes line rue. Germanic words lack umlauts. Pizza (aka tart flambé) comes with salmon on it. Well, yeah: it costs half the price. Of course it’s popular. Let’s take a first-taste guide look. An overview of Bergheim, where Gustave Lorentz (featured below) is located in Alsace, France. You have a thing for Champagne, but your bank account does not. You need a wine for breakfast or brunch. You love Alsace for its still wines (good for you … you are already ahead of most people). The word crémant is used across France to describe a sparkling wine made using the same process as that of Champagne. Think of Crémant d’Bourgogne, Crémant d’Savoie, Crémant d’Jura, Crémant d’Loire and — the most popular — Crémant d’Alsace. The name was a compromise to Champagne producers who wanted to protect their brand by making sure it didn’t appear on labels outside the region — even if it was a simple proclamation of using the “Champagne méthode.” This method entails a secondary fermentation in the bottle (versus in the tank), which leads to a wonderfully creamy, somewhat toasted character. Achurch in Hunawihr, with surrounding vineyards. Alsace, France. 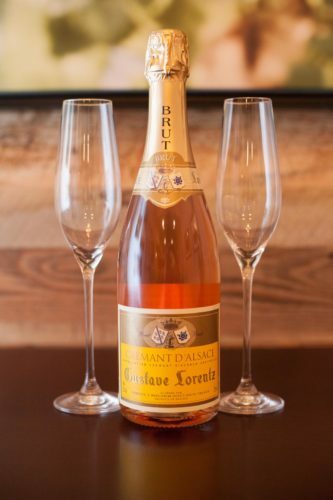 Like other cremant wines, Crémant d’Alsace is a strictly regulated Appellation d’Origine Contrôlée wine, but with a wide-open extravaganza of grapes. In Alsace, winemakers can explore combinations of Pinot Blanc (most common), Auxerrois, Pinot Gris, Riesling, Chardonnay and Pinot Noir. 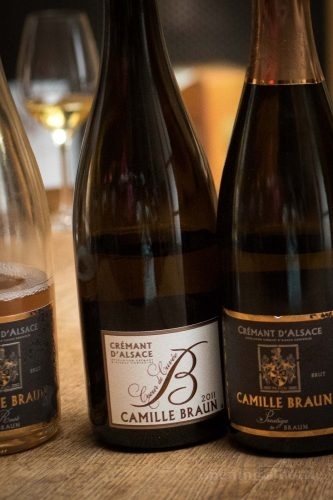 To ensure quality, winemakers wishing to use the term Crémant d’Alsace on their label need to declare which vines will go toward its production in March of each year. 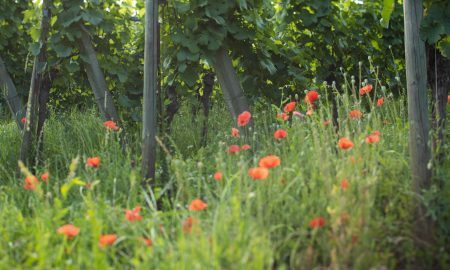 Given the demands of fostering good grapes for good bubbly, this changes the viticultural strategy in the vines for winemakers. It would be all-too-tempting in a bad vintage to simply jettison a block of poor grapes for bubbly, hoping to disguise their flaws in a cloud of fizz. But this rule helps ensure that doesn’t happen, and gives Crémant d’Alsace a level of quality assurance that is nice for wine shoppers like you and me. Alsace is just as far north as Champagne, but its climate is warmer and sunnier, which allows these grape varieties to ripen more. This does not necessarily translate into a sweeter wine. It simply means the vintners add less sugar to fuel the secondary fermentation — a process called dosage. In some cases, they skip that step entirely because a warm vintage has made it unnecessary. 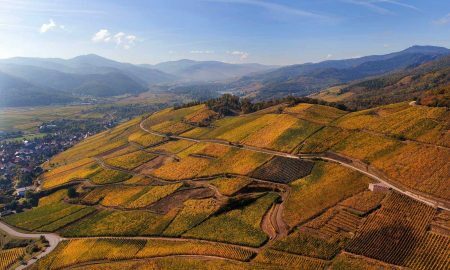 Furthermore, with each passing year, vinters are making more and more Crémant d’Alsace because it makes good financial sense. Not only is the wine increasingly popular, but winemakers can harvest the grapes earlier, allowing them to avoid the risk of late-season rains that would otherwise ruin a crop. 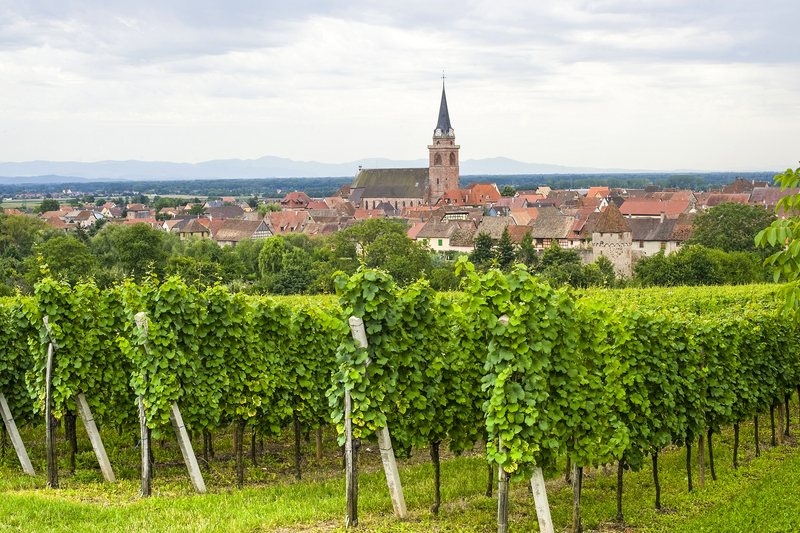 From a historical perspective, Crémant d’Alsace is one of the region’s youngest wines. It made its debut in the early 20th century. 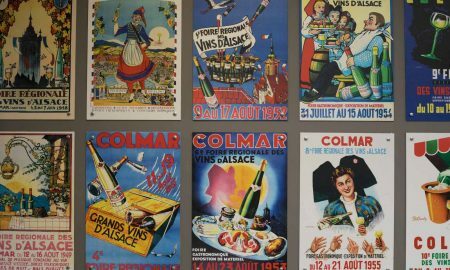 (Considering that Alsatian wine is part of a vine-growing lineage that dates back to 60 BC … yes, you can comfortably say that Crémant d’Alsace is a rather “new” phenomenon). Around that time, Champagne winemakers began exploring the idea of making their sparkling wine in Alsace as well, just to get around German export duties since Alsace was part of the German empire at the time. It was also during this period that winemaker Julien Dopff — inspired by a Champagne demonstration in Paris — became the first Alsatian vintner to make Crémant d’Alsace when he decided to apply the same methods with his wines. Now, Crémant d’Alsace is big business for the area: from 1979 to 2009, production of this style of wine increased by 33 times. The variety of styles within Crémant d’Alsace is staggering, due in large part to the open-ended grape regime. Riesling and Pinot Blanc are nothing like Chardonnay and Auxerrois, yet all of them (or none of them) can be used in the final cuvée. I’m not going to claim that certain grapes in certain percentages are preferable, but it is important to know the styles. 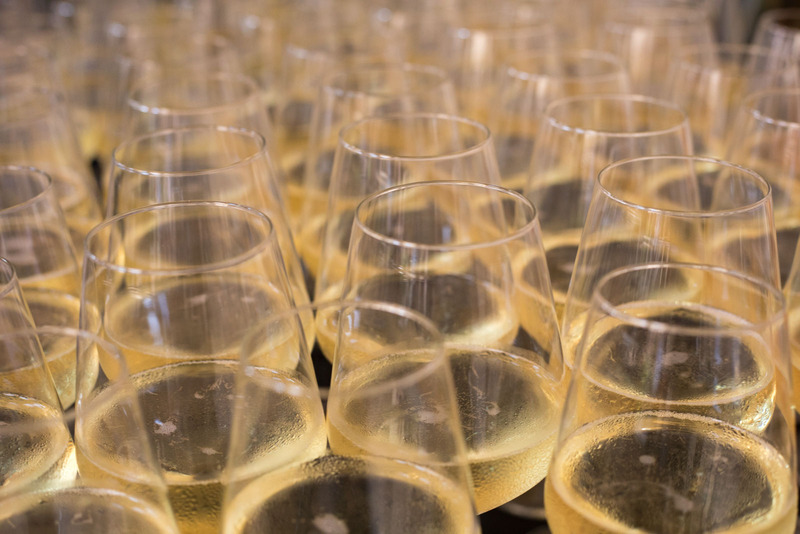 Wines labeled Blanc de Blanc are almost always made exclusively from Chardonnay (although they could be from other white grapes), and because of this, they are the closest relative in Alsace to Champagne’s Blanc de Blanc style. Blanc de Noir, while rare, is a white wine made from black grapes, in this case Pinot Noir, while Crémant d’Alsace Rose can only be made from Pinot Noir. But most Crémant d’Alsace are blends. 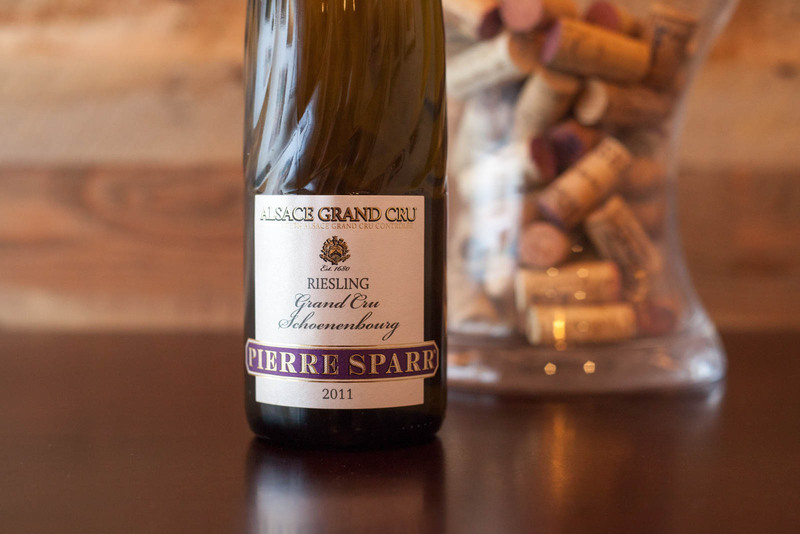 Because of the wide variety in style, its best to know some key producers in Alsace. My personal favorite — and as a result, an Essential Winemaker of France — is Camille Braun. This biodynamic domaine in the small southern Alsace village of Orschwihr creates some of the most whispery and delicious sparkling wine I’ve encountered anywhere. I’ve profiled one of their wines below as a suggestion. 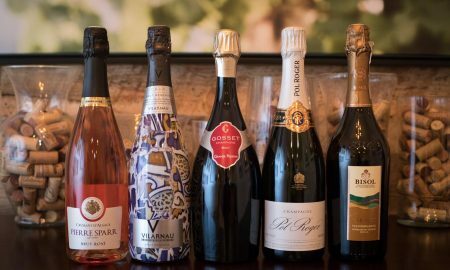 Other excellent producers include Charles Baur (especially the “Emotion” Crémant d’Alsace Brut), Hubert Meyer, François Baur (the Brut Réserve is delicious), Specht, Pierre Sparr and Cattin (look for the Grand Cuvée). 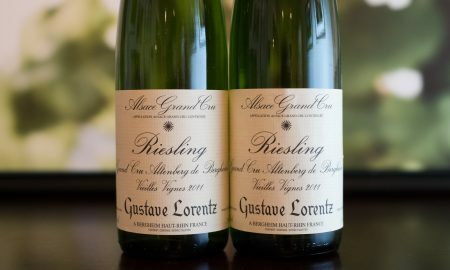 I would also recommend the non-vintage Gustave Lorentz Crémant d’Alsace Brut Rosé as a good representative of the style. I found the wine to be joyful with a peach carnation color and voracious bubbles that refused to die down several hours after opening. See below for my review and cheers to affordable, traditional method sparkling wine. Tasting notes: This mind-blowing Crémant d’Alsace from biodynamic producer Camille Braun features no sulfites and needed no dosage. 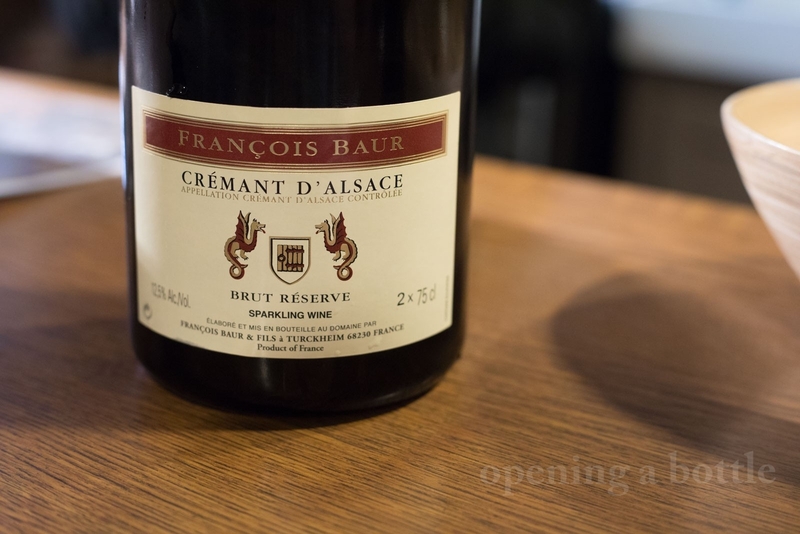 It is among the deepest and richest versions of Crémant d’Alsace that I have encountered, and is certainly among the most surprising aromatically, recalling apples, dried hay, brown sugar and a little bit of cinnamon stick. The magnificent texture on this wine makes you pay attention, but it is by no means load or noisy. The finish brought to mind bread crust in its flavor profile. An elegant and whispery sparkling wine worthy of any job you would normally outsource to Champagne. Serving suggestion: Breakfast. 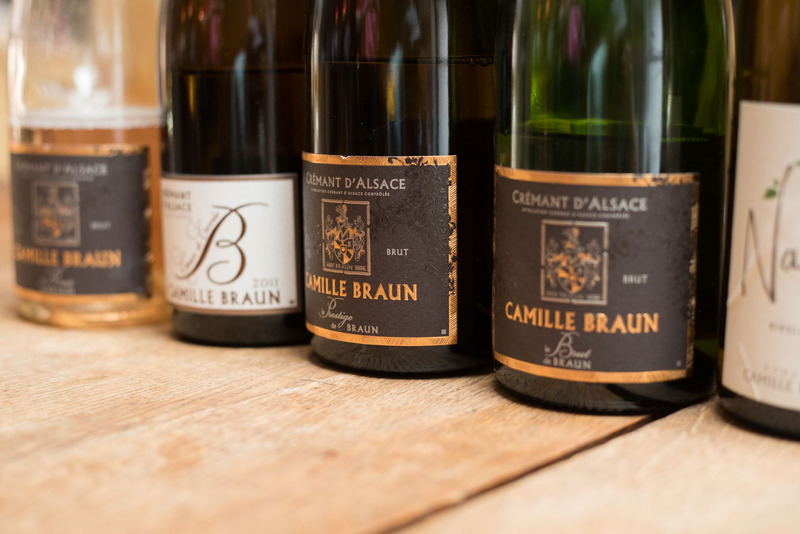 All of Camille Braun’s Crémant d’Alsace wines made me crave breakfast, but for God’s sake, don’t blend it with anything. Just serve it as is with a slight chill. Tasting notes: With its beautiful peach carnation color, this Cremant d’Alsace rosé is — if nothing else — gorgeous to look at. I found the aromas to be a little suppressed — if anything, recalling apples and lemons, but little else. However, on the palate, it was captivating, triggering thoughts of apple pie, rosehips and cocoa on the finish. The beading refused to die down over the entire evening, and it held on to its structure to the last drop. Fun, inviting, and incredibly versatile with food. Serving suggestion: Toasting and special occasions, but also it worked remarkably well with a light dinner of Indian simosas and sautéed spinach. Note: This post was originally written in January 2017 but updated for clarity, depth and increased enthusiasm on June 2018 after a trip to Alsace.